Yay to another collective haul. I've gotten such an overwhelming response to my previous collective haul posts that I decided to do them at least once a month, depending on the things I've bought and was given or sent. A few weeks back, my mom got me this Sephora Collection Pro Lesson Palette in Natural Eyes. I haven't tried it yet but I will do a review on it when I do. 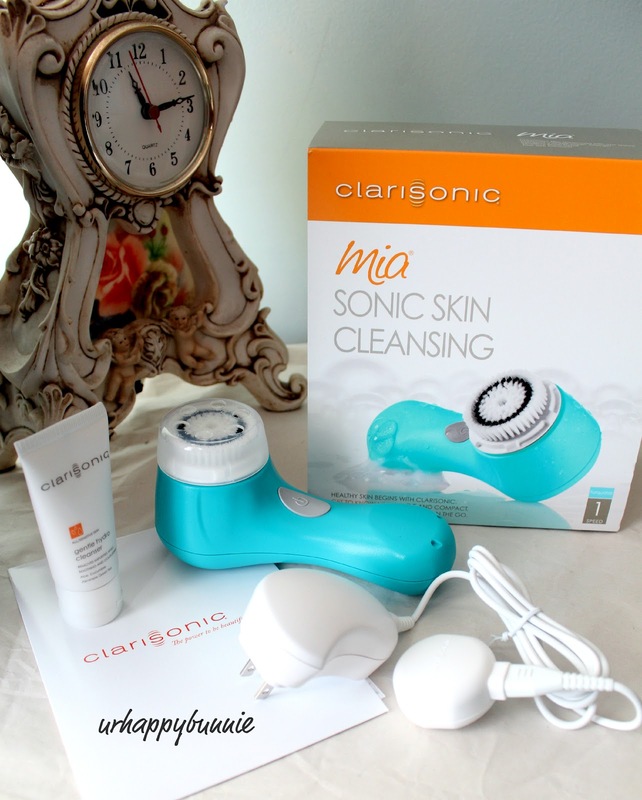 Another product that I was so happy to receive was the Clarisonic Mia in Turquoise which I am loving so much. I have decided to do a month-long test on it and have been taking note of it's effect on my skin. I will definitely get back with you with a review on it once I finish the 30 day experience. There were so many fab items at Forever21 that's on sale but I picked out mostly essentials so I got 2 knit tank tops: a light heather gray and a cream, 2 tees: a black and ivory, a fitted scoop neck dress in black, a cropped tee with "Heavenly" print, a chiffon blouse in mint, a tennis shoe in green, taupe thong sandals and a cute love necklace. 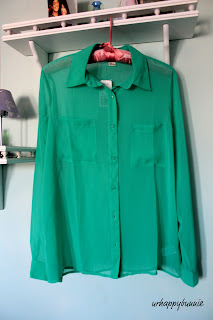 I am so ready for spring and summer with these items. I need some shorts and colored skinnies too! Definitely on my shopping list for next time. From Walgreens, I hauled a Wet n Wild MegaLast Nail Color in Wet Cement, a Maybelline Colossal Waterproof in Extreme Black and a copy of March 2012 Vogue with Adele - I love her! Lastly, from Bath & Body Works, I took advantage of their 4 for $15 for antibacterial handsoaps. 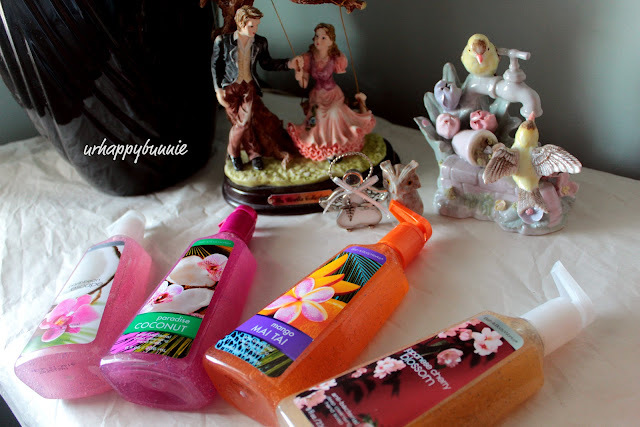 I grabbed Caribbean Escape, Paradise Coconut, Mango Mai Tai, and Japanese Cherry Blossom. I love Bath and Body Works! I should've grabbed two more for 6 for $20 but I think I'm alright for now. I keep a stash of these for deep cleaning my makeup brushes. On that note, I also have an upcoming post about how I deep clean my makeup brushes since I do something a little different from what the other beauty gurus do. So how do you like my haul? :) What Rebecca Said is hosting a Blog Hop so please check it out and find yourself immersed in new blogs and Blog Love Therapy is hosting a Twitter Hop this week too. Oh, and ladies, I might be going off the radar for 2 weeks. I might not be able to follow anyone back or reply to your comments but I have queued a number of blog posts for the coming days. I will be having my exam on the 16th and I am nowhere near prepared so I have to devote my time really studying and not slacking. I hope you understand and continue to support my blog. I promise that once I finish my test I will be doing more makeup looks as many have requested. I nominated you for the Versatile Blog Award. Go check it out! There's nothing wrong will bragging. I do it all the time haha! I love your haul. Hey regarding that Wet N Wild polish, only complaint is I feel it never truly dries...hmm...always pretty pliable. I've been eyeing the clarisonic for a very long time, please let us know ASAP how it works on you. Good luck with exams! Nice haul! You bought some great things! Would like to try the clarisonic, have heard good things about it. 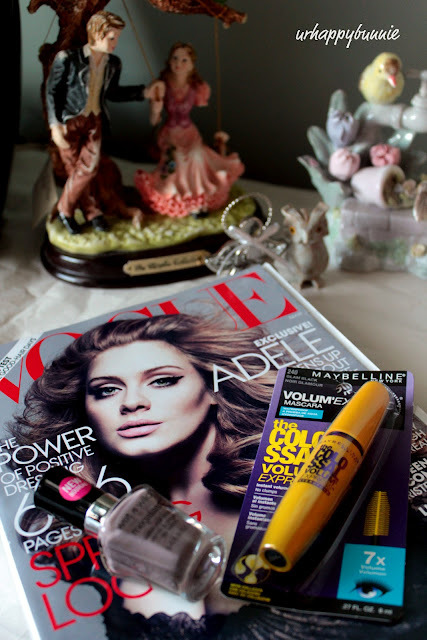 Maybelline Colossal is my favorite mascara in the world. Good luck on your exam! Awesome haul, a lot of great things. Like that green sheer button up. And the clarisonic can't wait to hear your reviews on it. I've been dying to try it. what a great haul!!! 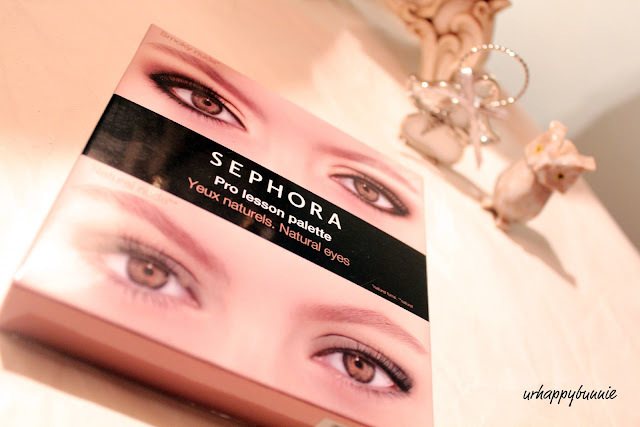 cant wait to read your review on the sephora neutral eye and sonic skin cleansing system.. It has such mixed reviews. I love the shoes! 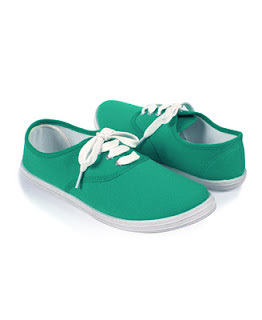 I'm all for comfortable, classic shoes in pretty colors. Love! i think i'm going to get more of those shoes in different colors. they are so cute and comfy! 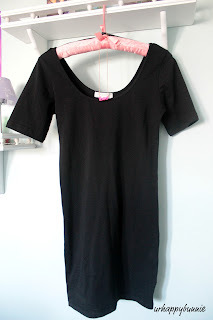 I found your blog by chance, while peeking others and I decided to check it out! I’m glad I did it, because I am really delighted with yours. It's beautiful, well structured, interesting, sweet amazing... If you love mine too,I'd like to invite you to follow mine . I’d be very pleased.,,,Then I'll follow you back!!! love all of your choices!! !such a lovely post!! 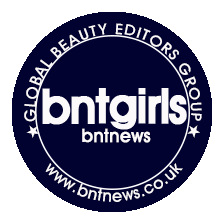 thank you for following...i 'm doing likewise...your blog is amazing!! !hope you keep in touch!!! One thing though, is that I found once a day, instead of twice a day is better on my skin. Once a day made it feel raw and overexfoliated .. if thats a word. So yeah if you ever find that its irritating definitely cut back and it should do the trick! I'm inviting you to join my giveaway for a chance to win a $20 giftcard from sneakpeeq!!! hope you'll drop by and join! have a great day!